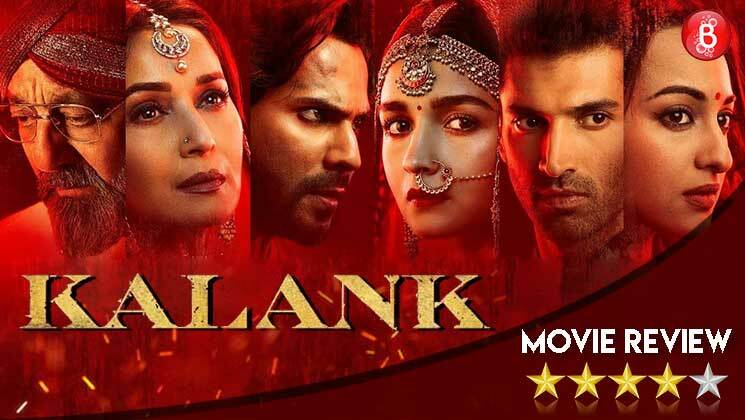 One of the major strengths (and weakness, if you look at it that way) of ‘Kalank’ is that everyone is sad all the time. The weight of the world has weakened everyone’s shoulders and the movie gives you a taste of what it feels like to be rich (and full of problems). Except for Zafar (Varun Dhawan), almost everyone in this family wears the best clothes and the visuals of this movie are excellent to the point of being overwhelming. Coming to the story, the movie starts with Roop (Alia Bhatt) having to marry Aditya Roy Kapur (Dev) just to ensure that her other sisters get married. Her father is a music teacher and cannot afford to pay dowry. In walks Satya (Sonakshi Sinha) who has just one year to live because of cancer. What follows is an unfortunate series of events (“Gusse mein liye mere ek faisle ne, hum chaaron ki zindagi tabaah kar di”) that reveals dark, deep secrets. As for the performances, every actor has brought their A-Game but Alia Bhatt and Aditya Roy Kapur stand out. Be warned, this is not the usual popcorn movie that’ll make you forget your problems. It’ll in fact, give you bigger problems. People who want to relax after a hard day’s work may not love this. But the diehard romantics, the ones who have experienced love and loss in life, the patrons of sad cinema – they are the ones who will love this movie. Go for it, but order a cup of coffee instead of the usual popcorn and coke.